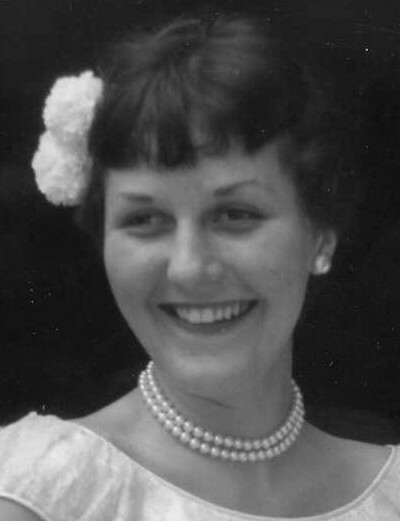 Martha K. Heraty, nee Kilcoyne. Age 87. After a short illness passed away peacefully on December 5, 2018.Devoted wife of the late Warren E. Heraty. Loving and dedicated mother of Kathleen (Lynn) Stetson, Greg (Barb) and Celine Heraty, Margaret, Elizabeth (Chuck) Daly, Daniel (Lisa), the late David (Kitty) and Kelly (Andy) Fuhr. She will be missed so very much by her 15 wonderful grandchildren, Conor (Candace), Jessica (Scott), Sean, Becki, Mary Kate (Brian), Clare, Julie (Pete), Meeghan, Brennan, Griffin, Kevin, Colin, Patrick, Katherine, and Aidan. And by her great grandchild whose latest photo was always her screensaver, the beloved Ella. Her extended family and friends gave her much joy in her life, including Marilyn O’Brien, Patti Kay, her wonderful nieces and nephews, Josh, Catherine, Val and many more. Marti, or as she spelled it in high school, Marde, was a trouble maker from the start. When quite young, she was singing and dancing on a street corner just to amuse herself when someone gave her a penny for her performance. She quickly realized the value and went around to different corners until caught by her Aunt who dragged her by her ear all the way home. In high school, she was a proud founding member of the renowned Damma Phi Datum Sorority at Notre Dame High School for girls. The gang still keeps in touch. A lifelong democrat who was always a judge at the polls during voting, Marti always said she had to vote to cancel that of her republican husband. She called or wrote monthly to her congressional rep Henry Hyde to complain. So much so that he knew her by name. Her voting wisdom passed on to her children was, vote for Irish politicians and Polish judges. Marti loved music and saw many of the great musical artists of her day: Frank Sinatra, Duke Ellington, Sarah Vaughn, Ella Fitzgerald, Harry Belafonte, Louis Prima, and, uhm .. Donna Summer! She lied her way backstage to meet Billy Eckstine and talked of it to this day. Along with Jo Hanch she directed the Mary Seat of Wisdom parish variety show, the Chez Paree in the ‘70’s. She loved her Chez Paree years and took great joy in the productions. She performed only one year, as Dolly Levi from Hello, Dolly and she would like you all to know she “killed it”, in the very best way! We will miss her ready laugh and quick wit and meatballs with gravy. But not so much her tunafish and peas. There is no doubt in our minds that if there is a place beyond this one, she is once again living her very best life with all those she loved who have gone before her.She’ll be the one with the Virginia Slims, and an ice cold Tab grabbing some rays by the pool. No doubt, there will be plenty of chocolate there, too. We were greatly loved by you Mom and our love for you will endure forever. A Memorial Visitation will be held on Sunday, Dec. 9, from 3 p.m. until time of Memorial Service, 6:30 p.m., at Ryan-Parke Funeral Home, 120 S. Northwest Hwy. (2 blks. S. of Touhy), Park Ridge. Interment is private. In lieu of flowers, memorials to Misericordia Home, www.misericordia.com, are appreciated.